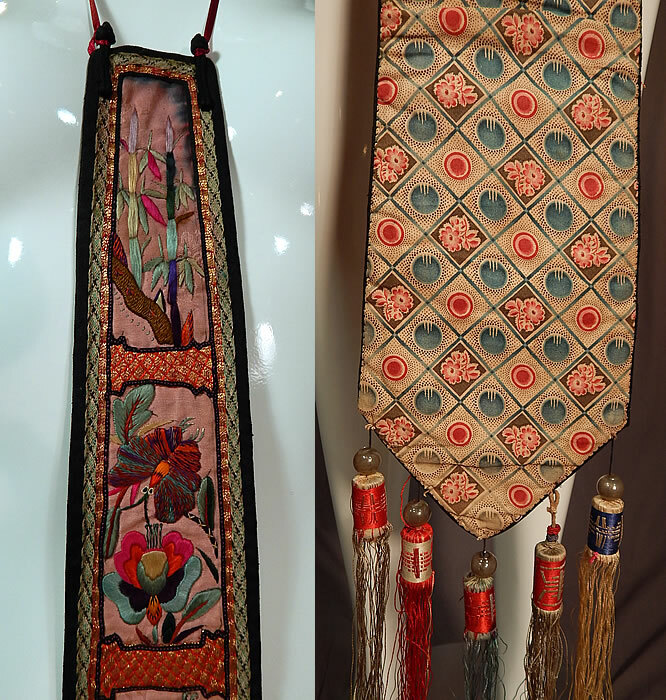 This antique Chinese silk embroidery gold couching robe panel scarf tassel trim dates from the 1920s. It is made of colorful silk fabric appliqué pieces with raised padded satin stitch hand embroidery work of birds, butterflies, flowers and gold metallic thread couching work accents, which tiny red stitches hold the couching work together giving it a contrasting copper color appearance. There are colorful silk tassels with blown glass clear beads hanging down from the bottom end. 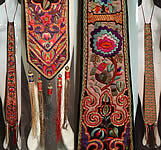 This lovely long lappet scarf style panel might have been used as trimming on a robe, skirt or wall hanging. It has a long narrow tapering style, wider at the bottom, backed in a colorful cotton print fabric, has tassel trim on the bottom and black silk trim edging with knotted buttons at the top for attaching. It measures 41 inches long, with an additional 11 inch long tassel trim and is 5 1/2 inches wide at the bottom 2 inches wide at the top. It is in good as-is condition, missing one glass bead and has some black dye discoloration bleeding at the top (see close-ups). 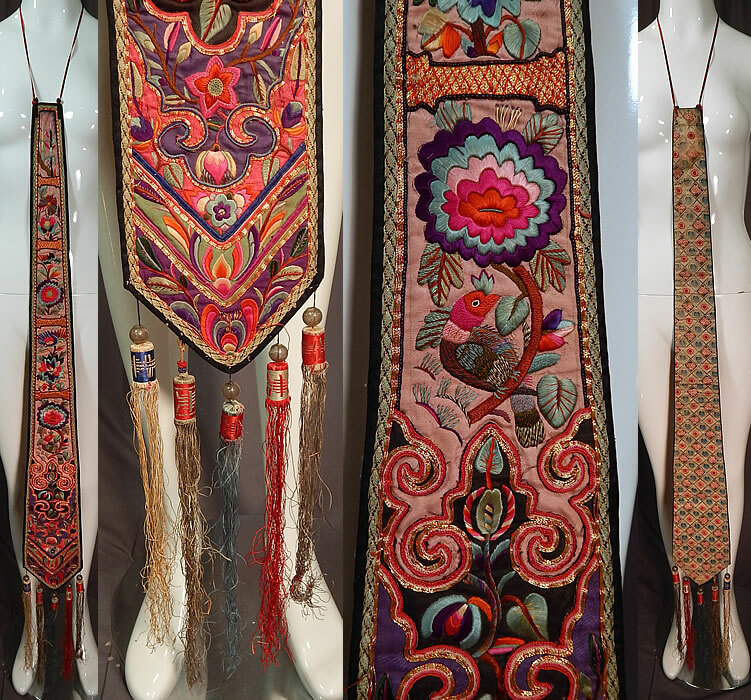 This is truly a wonderful piece of wearable Chinese embroidery work textile art!